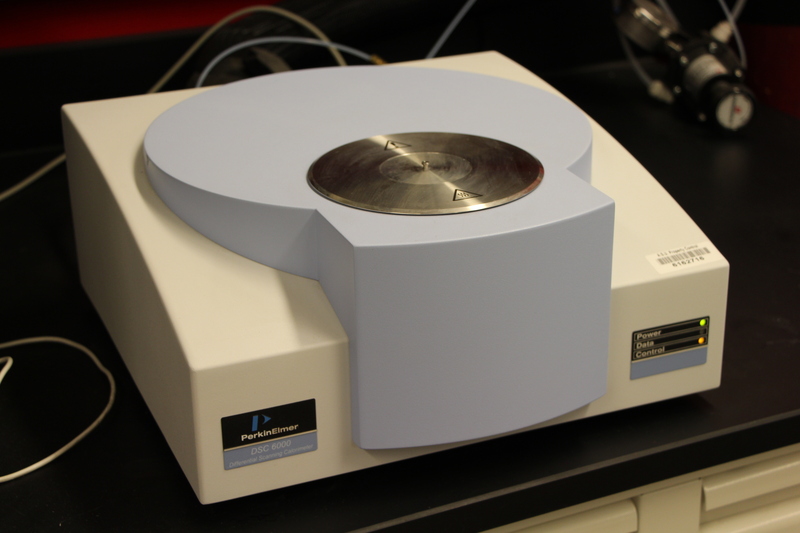 Thermogravimetric analysis is a quantitative technique that allows to measure the mass loss and heat flow associated with heating a sample. 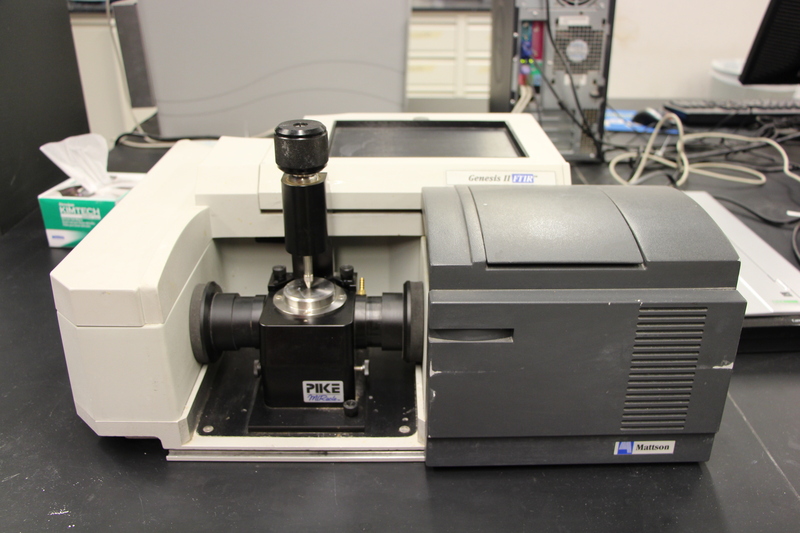 The instrument is capable of handling temperatures ranging from 15 C to 1000 C. Different reaction products in the sample decompose over different temperature ranges which is identified by the mass loss profile of the sample. 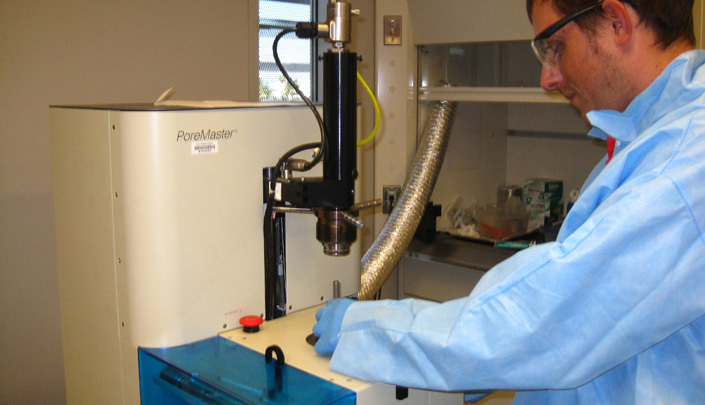 The heat flow profile is used to identify the type of reaction products formed in the sample. 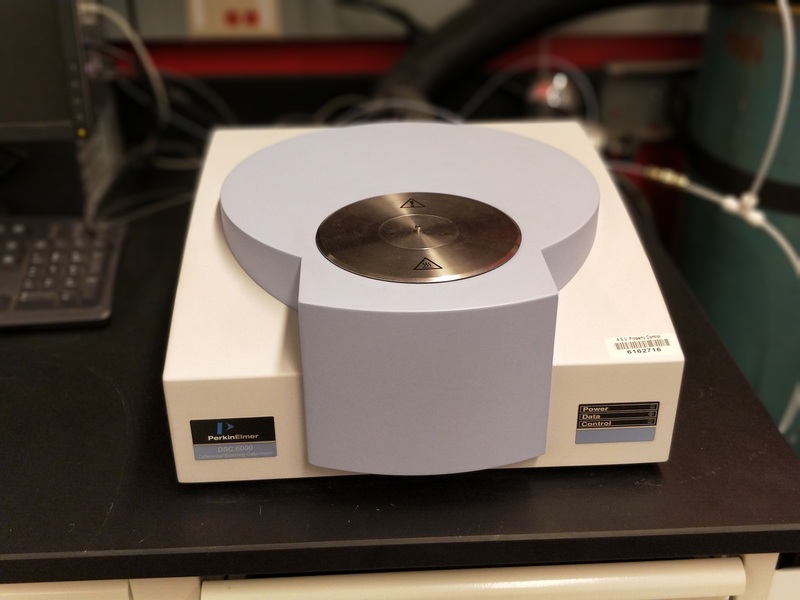 Differential scanning calorimetry (DSC) is a thermo-analytical technique that measures difference in the heat flow rate between the sample and the inert reference with varying time and temperature. The basic principle is that the sample absorbs or releases heat during a phase transformation and more or less heat flows in the sample as compared to the reference to increase the temperature by a specific amount depending upon the transformation being endothermic or exothermic. DSC keeps track of the amount of heat released or absorbed in such transitions by measuring the difference in heat flow between the sample and the reference and provides useful information about the phase transition temperatures of the sample. In DSC, samples should be distributed uniformly across the bottom of the pan. The pans are either alumina or platinum depending on the temperature range experienced or reactivity of the sample material with the pan material. For determination of phase transitions, DSC scans can be carried out at various rates from 0.1-100 °C/min and can span a temperature range of -80 °C to 600 °C. All scans are maintained and completed in a flowing-N2 atmosphere and take between 0.5-3h to complete (dependent on the rate). Attenuated total reflectance – Fourier Transform Infrared Spectroscopy (ATR-FTIR) allows for the determination of transmission spectra without destructive sample preparation. Spectra are obtained from the absorption or transmittance of a wave which is transmitted through an internal reflection element (IRE) of high refractive index and penetrates a short distance into the sample, in contact with the IRE. The IRE used is a diamond, selected because of its resistance to high pH and abrasion from sample removal and cleaning. Every chemical reaction is associated with a typical heat signature which can provide significant information regarding the existence and formation of reaction products. The hydration process of cement is highly exothermic and is measured in milliwatt range. The shape of the heat flow curve versus time reflects the hydration processes in cement and the area under the heat flow curve is related to the degree of hydration of cement. The advanced cementitious laboratory is equipped with state-of-the-art isothermal calorimeters from Calmetrix and TA Instruments. Mercury porosimetry analysis is the progressive intrusion of mercury into a porous structure under stringently controlled pressures. Since mercury does not wet most substances and will not spontaneously penetrate pores by capillary action, it must be forced into the pores by the application of external pressure. The required equilibrated pressure is inversely proportional to the size of the pores, only slight pressure being required to intrude mercury into large macropores, whereas much greater pressures are required to force mercury into small pores. From the pressure versus intrusion data, the instrument generates volume and size distributions using the Washburn equation. The chloride ion transport test system causes chloride ions to penetrate a concrete sample under an externally applied field and a concentration potential. These tests are chosen over regular saturated diffusion tests because of the shorter duration time and ease of use. The main idea of the test is to observe the durability characteristics of concretes such as chloride ion induced reinforcement steel corrosion. There are two standards for which the test is performed: Rapid chloride penetration test (RCPT, ASTM C1202) and the Non-steady state migration (NSSM, NT Build 492). 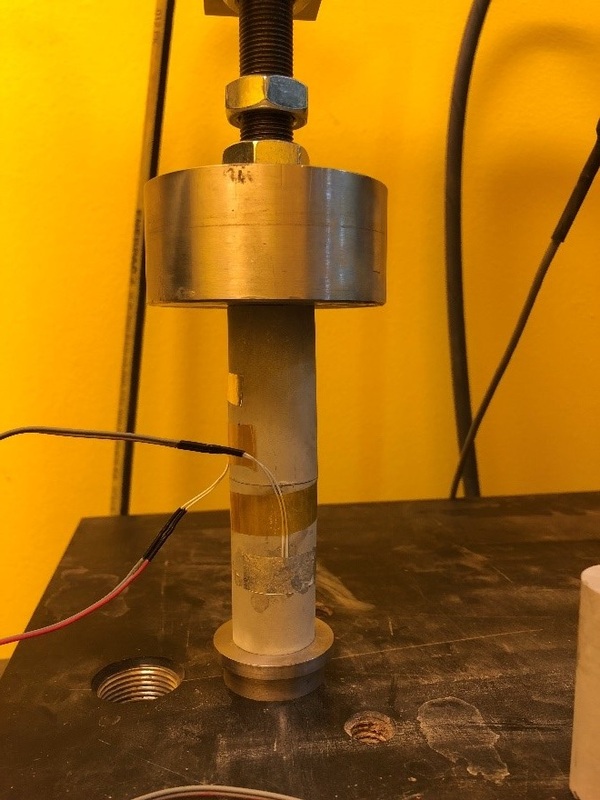 RCPT provides an indication of the resistance of concretes to chloride ion penetration under an externally applied potential of 60 volts and records the total charge passed through the specimen after a testing duration of 6 hours. NSSM provides an indication of the resistance of concrete to chloride ion penetration based on the initial current value when a 30 volt external potential is applied, and provides an NSSM migration coefficient calculated using the average values of the measured penetration depth after a testing duration of 24 hours. 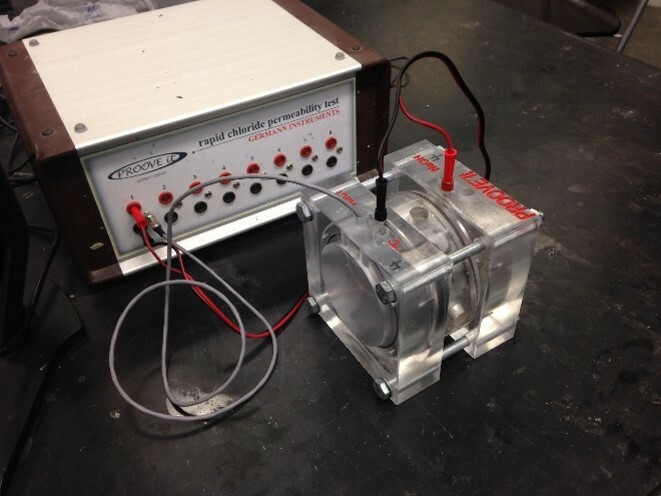 The experimental set-up for the RCPT and NSSM test is a Germann Instruments PROOVE’it Rapid Chloride Permeability Test System. The set-up involves a cathode cell containing NaCl solution and an anode cell containing 0.3 N NaOH solution. Penetration depth is measured after the sample is axially split and 0.1 M silver nitrate is sprayed on the interior surface and the white silver chloride precipitates. Creep happens due to diffusion of adsorbed water held by capillary tension in small pores of hydrated cement product and is a time dependent process. Creep manifests as a time dependent volume change under sustained whose magnitude is influenced by temperature and relative humidity. Creep tested in the laboratory using a sustained compression load (e.g. 40% of the peak load) applied to two stacked cylindrical specimens with strain measured at the center of each specimen in the direction of loading. The temperature and humidity are maintained within the environmental chamber which houses the creep frame. Load-free companion cylinders are also kept under the same environmental conditions for evaluation of shrinkage. The laboratory fatigue life of rectangular beams (380 x 63 x 50 mm) is determined using a servo-pneumatic four-point bending apparatus. 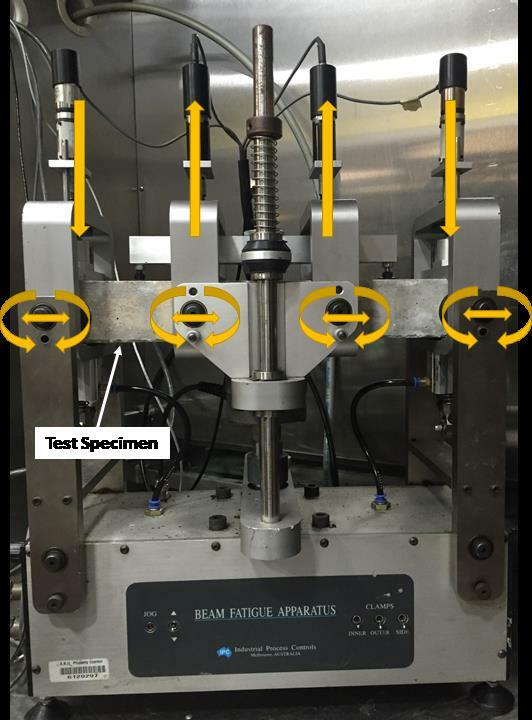 Test specimens are subjected to four-point bending, with the loading applied at the inner two clamps and the reaction forces at the outer two clamps. At the end of each loading cycle the test specimen is returned to its original position (zero deflection) because of the free rotation and horizontal translation at each of the loading and reaction points. 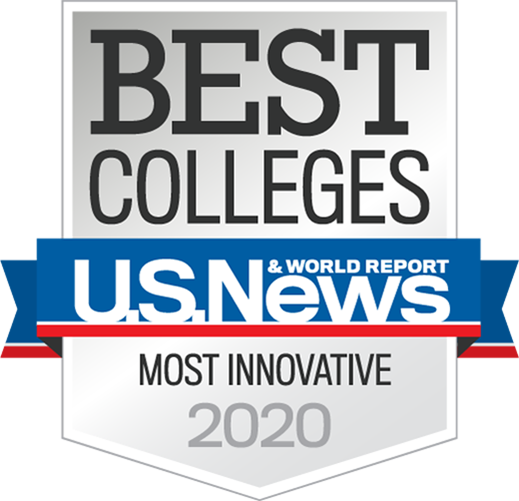 Testing is conducted under stress-control or strain-control using a haversine or sinusoidal waveform with an applied frequency of 10 Hz until the specimen fails. Fully reversible tension-compression loading condition with an applied stress ratio (Rσ = σmin/σmax) or strain ratio (Rε = εmin/εmax) of -1 is used for this beam fatigue apparatus. 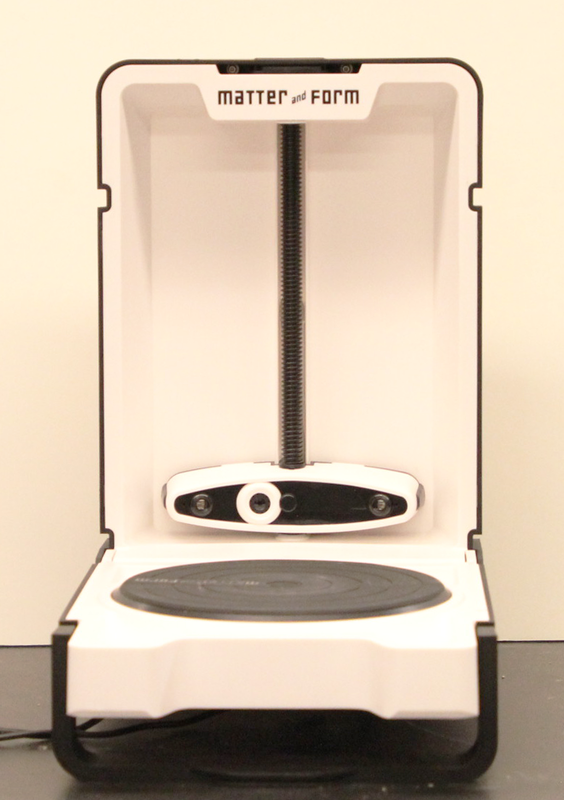 The Matter and Form 3D scanner (Overall dimension: 350 x 210 x 350 mm | Weight: 4 lbs) is used to scan real-time physical objects to obtain spatial coordinate data. The maximum scan volume is 180 x 180 x 250 mm. 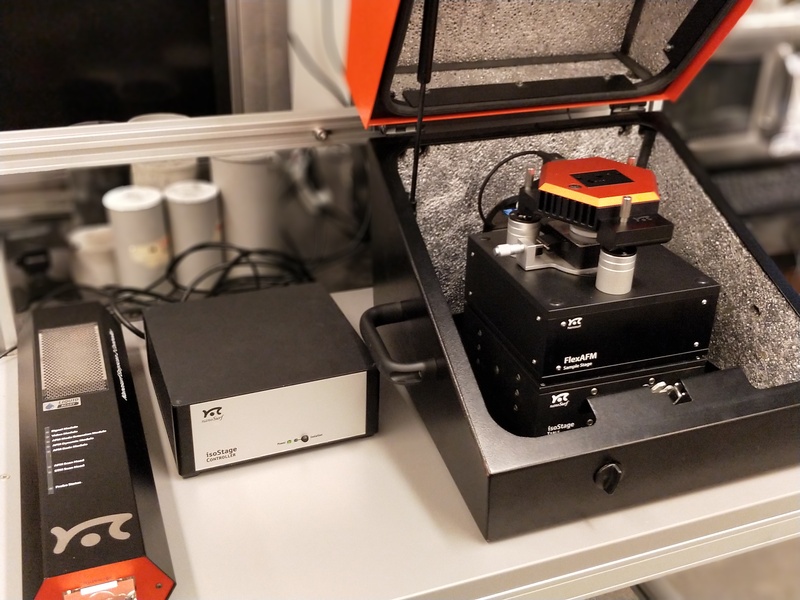 A dual laser and a high definition CMOS sensor system outputs point cloud data from the surface using laser triangulation. 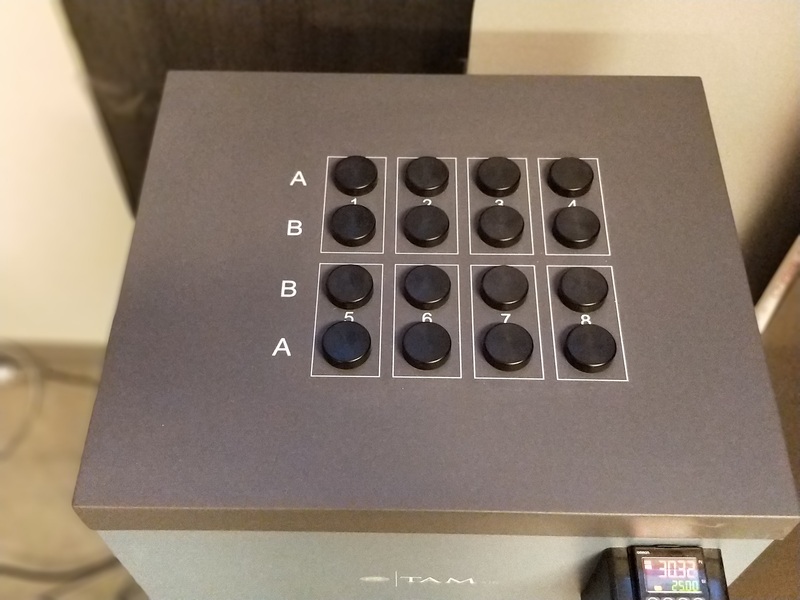 The resolution is 0.43 mm with an accuracy of +/- 0.25 mm. The cloud data can be exported into .xyz., .ptx, .stl, or .obj formats. 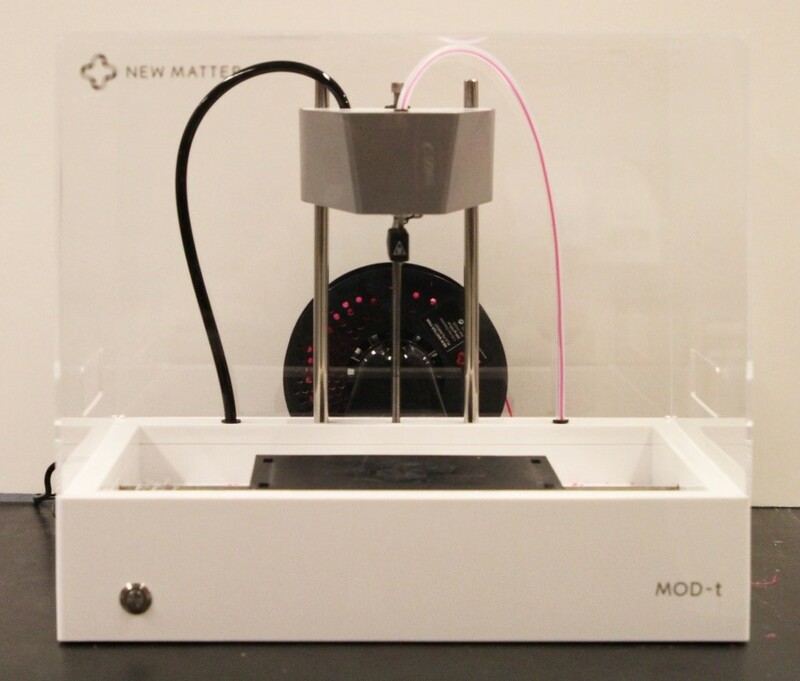 Newmatter Mod-t is a 3D printer (Overall dimension: of 400 x 350 x 300 mm | Weight: 5kg) specifically for plastic materials. The filament diameter compatible is PLA 1.75 mm with a maximum extruder temperature of 210 oC. The allowable nozzle diameter is 0.4 mm with a maximum print speed of 80 mm/s. The print plate dimensions are 150 x 100 mm with a build volume of 150 x 100 x 125 mm. 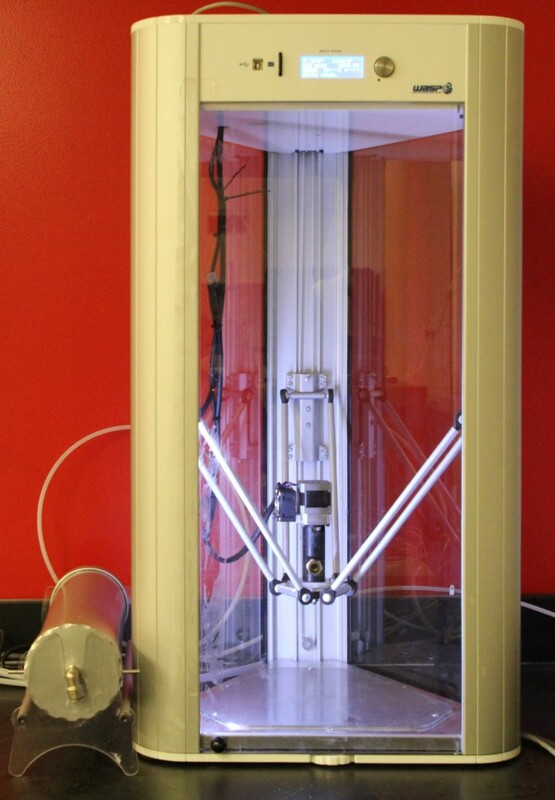 The printer is used for innovative/improvised designs for research projects. Atomic force microscopy (AFM) or scanning force microscopy (SFM) is a type of scanning probe microscopy (SPM), with demonstrated resolution on the order of fractions of a nanometer, more than 1000 times better than the optical diffraction limit. The AFM probe is a sharp tip at the end of a flexible cantilever. The cantilever has a reflective coating. A laser hits the back of the cantilever and is detected in a photodiode. As tip moves laterally over regions of different materials and over topographic features, it will twist and generate a lateral signal. This signal is analyzed using a computer algorithm to generate an image of the surface.